For the last decade the biggest question in many people’s minds has been the state of the economy. Many are wondering if their savings are enough to help them survive retirement. In recent years many are looking or that perfect number for their nest egg and wondering if that number which seems to escape most, might be $1 million dollars. 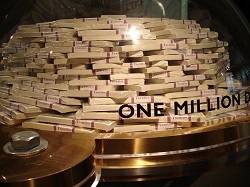 So the question that remains is, can you retire on $1 million dollars? Saving for retirement has never before seemed to be such a monumental task. The slipping of the job market has driven many into elongating their plans for retirement. With the housing market only slightly recovering, many are selling or short selling their homes in order to lower their total monthly expenses and renting. Many had sunk their savings for retirement into their homes and looked to profit off the sale of their homes to fund their retirement and no longer can. So the new problem with saving for retirement is how can you save effectively without bankrupting your current lifestyle? Many people have been looking for that perfect number. 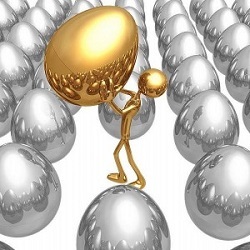 If I raise X amount of money for my nest egg, will that be enough? Often the answer is not as easy to come by as the question. Can you retire on $1 million dollars? Yes, but that is depending on what you need to make per year to suffice. If you need $40k a year in order to live, then $1 million dollars should be enough. Likewise if you need double that to live per year than the $1 million would turn to $2 million dollars that needs to be saved up in order for one to be able to live financially secure in retirement. 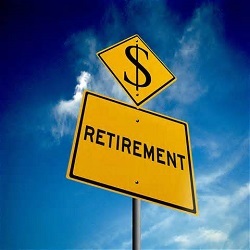 A study released by Wells Fargo states that one shouldn’t look at an overall number like $1 million dollars to be the end result of their retirement savings but rather about 10 percent of their net yearly income. In essence as you cost of living changes depending on what you are making per year as well as your cost of living based on where you live will change as your progress through age. One mustn’t forget that people are living longer. One of the biggest issues going on with current retirees is that they are outliving their retirement funds. The current retirees hadn’t accounted for their generation living longer, the constant rise of the cost of living and perhaps the relatively un-foreseen severity of the current economy. So when you are planning for your retirement it is important to plan for a longer lifespan and possibly more importantly those extra precautions of life’s unpredictable costs. One of the best ways to plan for your retirement is to take a portion of your retirement funds and invest them! No one is saying that you should take 50 percent of your funds and throw them into any sort of get rich quick type of scheme, but investing conservatively can have long term payoffs. Where is Your Nest Egg Headed? Understanding how you are saving for your retirement is just as important as the direction those finances are headed. If you plan to be able to retire on a set number, it is important to understand where that number may lie. Many experts are currently debating whether or not people are saving enough or saving too much. While the newer generations are currently on an overhaul when trying to save. The biggest issue facing much of the current working force is not the question of how much to save but rather how best to save and accumulate those funds. With the job market as volatile as it has been for the last few years many people are living pay check to pay check, making retirement seem further and further away, if possible at all. Saving for retirement can seem like an almost unending and fearsome task. The idea that one day you may not be able to make money or build wealth as you once did can be as terrifying as it might be for others to realize that they may never get the chance to retire. The actions you take today are the catalysts for the ripples in your financial history that you will see tomorrow. Understanding the best ways to start saving for retirement today give you not only the best chance to be able to retire, but the best chance to have a financially successful retirement that can be more stress free. The key to retirement is understanding how to save and unstinting how to save comes from knowing how to budget your money. Seems simple enough, right? However recent studies released by the Bureau of Labor and Statistics as well as private studies as well have revealed that the average American is saving less than they were a decade ago. What this means is that more Americans and their families are living paycheck to paycheck and not putting as much away as has been seen with other generations. While the economy has a lot to do with this trend, so too does the way in which we were raised and trained to deal with our day to day and month to month financial dealings. The first step towards retirement is understanding how to save the money that you are working so hard to bring home. Saving has to become second nature and that is not very hard of a task to achieve. In fact by slightly changing your spending habits on a daily basis can have tremendous savings effects on your retirement funds. For example: let’s say that you spend $10 dollars a day on a coffee and lunch. Assuming you work 5 days a week, you’re spending $50 dollars a week. When you multiply that by the average of 4 weeks, you are spending $200 dollars a month on lunch and a coffee. Now let’s say that in the place of buying lunch and a coffee, you bring lunch and a thermos of coffee with you to work. By buying these items in greater quantity at the grocery store and brewing your coffee at home, you might be able to save as much a 75% of the very cost you were spending on a weekly basis. By curtailing your spending habits, you are more likely to see the saving add up rather quickly. 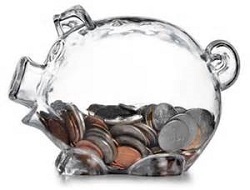 One of the greatest ways to see how much money you are saving, take the difference of what you were spending and what you are spending and deposit that money into a piggy bank, envelope, or savings account. Over the course of a couple months, you will be shocked to see how much money you have saved up. Three words were never spoken more true. Pay yourself first on everything. 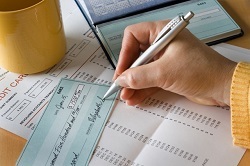 Every check you bring home take out a percentage and put it into a separate account regardless of what kinds of retirement funds you have in place. 401k, building some type of nest egg, pension, IRA, or ever diversifying your stock portfolio are all really great ways to save up for retirement, but all are traditional ways of putting money aside. 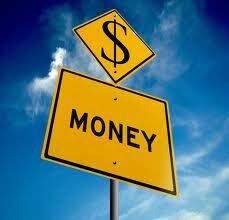 Even if it is only $100 dollars a week, by the end of the years you will have amassed over $5000 dollars. It is important to pay yourself first because this also helps to reinforce your understanding of how to save for retirement. Just like when one is trying to lose weight, the constant action of practicing what will eventually show us results is key to the promotion of how will and ability to move forward with the task at hand. By paying yourself first, you will also become the first to see what only a slight change in behavior can do toward long term financial success and security. Retirement should be an active life long goal. Unless you are part of the 1% or maybe even 2% of the world’s population that actually enjoys what they do for a living, you might want to consider how best to relax in your golden years. The current retired generation is finding out that while life spans have increased, the planning for financial success in the latter years of life also needed to evolve, but didn’t. Saving for retirement is easier than you think as long as you are committed to the understanding of what retirement should hold for you. In essence you can save for retirement much like you tend to spend on daily expenses, as long as your plan of action is contradictory to your long term goals! Who wants to work until the day they die? No one I would wager. So chances are you are looking at building a retirement fund in order to not work the rest of your life. 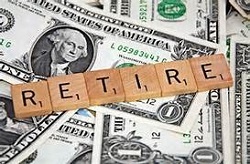 In recent years the amount of money being put aside in the various retirement funds have been called into question. The last generation’s financial troubles are all too real of a concern with the current generation combating a bad economy, mounting debt, and the goal of putting aside funds for retirement. Follow these 5 steps to a better retirement. The concept of retirement has changed between the last generation and the current one. More of the current generation plans to do more in their retirement years than generations prior. What this means is the cost of living and expectation of years lived in retirement has risen over other generations. In order to do more in retirement, such as travelling or using the time to discover or enjoy new hobbies and passions will require more money. So the goal to put aside more money should take priority over traditional amounts. Past generation have usually put aside 3/4 of their income in order to survive in retirement. Yet many experts say that 3/4 of one’s income is no longer enough because of cost of living and standard of living. You should aim to put away as much comparably as possible, up to 100% of your income. Meaning that if you currently live on spending X per month, understand that, that cost will most likely not decrease in retirement but may increase over time. 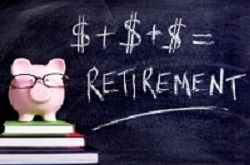 The last generation understood their retirement goal, stop working by age 62. But with the current state of the economy and congressional policy that goal of retiring at 62 is no longer applicable. The longer you work the more money you can set aside for your retirement. Aim for retiring from your primary income later than 65. While depending on your lifespan may give you less time off, it’ll secure that the funds you have put aside to last in your retirement period. It is important to set your own path and stay away from the examples set by your parents. The reasoning behind this is that if your parents fell victim to lack of retirement planning or were caught up in the stock market crash, the bursting of the housing bubble, or the cost of living eating away at their savings. Much of the retired generation currently had very little to no personal savings put aside for their retirement years. Many still are completely dependent on Social Security for their month to month financial challenges. So naturally you are going to want to separate yourself from these previous examples, and put away as much money as you can while you are working. Even if you are uncomfortable with putting your hard earned money into the stock market, you risk gaining nothing more than the face value of your investment by holding onto it. Whereas even if you invest a small amount monthly, you are likely to see some type of incremental profit on the initial investment which over time can add up substantially. If the traditional stock market is too faced paced or too nerve wrecking for you, perhaps you should look at penny stocks as another forum to invest some of your money in. It is possible to learn how the stock exchange works with very little personal capital invested in the penny stock exchanges. It is also possible that you may come across a potential million dollar stock that needs your low level investment to help propel it and you into financial success. I know what you are thinking, if I am retired why would I want to plan on another career? But the importance of earning an annual salary can’t hurt your retirement plans. The current policy on collecting Social Security funds state that you can earn up to but not exceeding $14,000 dollars years and still collect your social security benefits. So the best way to plan on your retirement career is to focus on a passion and find a way you can make some money doing it. Maybe you spent your life working a job that paid well but never touched base with your college degree. Maybe teaching part time would be a great way for you to use your passion to make some money in your golden years. The benefits are not just financially based, but also can have tremendous health and positive psychological benefits as well. Following these five steps to a better retirement can help you reach both financial and personal goals. Investing in your future and your retirement when you are younger, is the best way to accomplish your dreams in your later years! Annuities offer a safe investment alternative to the volatility associated with direct investments in the stock market. After enduring two major bear markets in stocks and heightened stock market volatility over the past fifteen years, many investors are looking for ways to earn decent returns on their long-term investments without subjecting them to the risk of major losses. Annuities provide safe and substantial investment returns, for a cost. The reason why annuities are attractive investment vehicles is because they offer guaranteed and relatively high rates of return. At a time when investors are still living with the memory of the 2008 / 2009 stock market crash, there is great demand for investments that do not subject people’s life savings excessive risk associated with stock market volatility and bear market sell-offs. The low interest rate environment that has existed since the 2008 / 2009 recession has caused traditional fixed-rate interest bearing savings and investment vehicles, such as savings accounts and money market accounts, to provide paltry returns of less than 1%. Certificates of Deposit (CDs) are not paying much more by way of interest than savings accounts, and require money to be locked away for a period of time. The combination of investors looking for safety and decent rates of investment return has driven many to explore annuities as an investment option that offers both safety and relatively high rates of investment return. 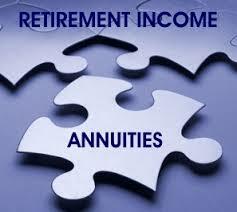 Of course, it is important to understand the benefits and drawbacks of making an investment in an annuity. Annuities are able to offer safe investment returns because they are not freely trading securities that are priced based on market supply and demand forces. Instead, annuities are contracts that provide guaranteed payments to the purchaser over a period of time. An annuity is only available through a life insurance company, which invests the money provided to them by the buyer of an annuity. 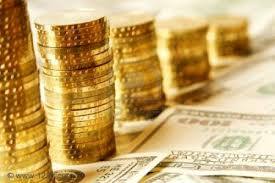 The seller of an annuity makes periodic payments to the buyer per the contract terms. The payments can begin soon after an annuity is purchased or years later during retirement, based on the contract term. Increases in the value of an annuity are not taxed until the money is withdrawn, at which point the money is taxed as regular taxable income. While there are many varieties of annuity products available, annuities fall into two broad categories: fixed annuities and variable annuities. Fixed annuities are just as they sound, they offer a fixed rate of return that is set and clearly defined when the annuity contract is signed between the buyer and the seller. Variable annuities provide rates of return that vary over time, based upon the terms of the contract and the value of the assets that the annuities invest in. Variable annuities offer higher rates of return than fixed annuities, but carry with them more uncertain returns, due to market fluctuations in the underlying securities, which can include stocks and bonds. Since investors invest in annuities to free themselves from the risk of investment losses, life insurance companies offer a guaranteed versions of their variable annuity products that guarantee a minimum rate of return regardless of the performance of the underlying assets. Guaranteed variable annuities usually have higher fees than other types of annuities, which many investors consider to be a small price to pay for guaranteed returns and avoidance of losses. Guaranteed annuities that invest in stocks are designed to be winning investments for investors who still want to participate in the stock market, but also want to remove the risk of losing money in a stock market downturn. Guaranteed annuities allow investors to take advantage of stock market gains and avoid stock market losses. If the underlying stock market indexes go up in a calendar year, then the annuity investors benefit by earning a rate of return on their annuity investment that is comparable to stock market index gains, minus any management fees assessed by the managers of the annuity. The gains are reflected in the value of their annuity holdings at the end of the calendar year. The guarantee comes into play when stock market indexes experience a losing year. Guaranteed annuities are designed to pay a minimum rate of return, no matter how their underlying stock holdings perform, which means that even during years that have stock market sell offs, holders of guaranteed annuities do not lose money. They may not make much money, as the guaranteed returns are quite modest, in the range of 1% to 2%, but a modest gain during a year of stock market losses is something many investors are happy to earn. While annuities offer safe investment returns, annuities fees that are considerably higher than many other investments. Management fees for annuities tend to be higher than other investments, such as mutual funds and index funds. They also lack the liquidity of many other investments, as annuities cannot be liquidated fully without incurring substantial penalties, which are known as “surrender fees”. For these reasons, annuities are only suitable as long-term investments. To take advantage of the benefits offered by annuities, money needs to be invested in them for a long period of time. For short or medium terms investment horizons, money would be better invested elsewhere in more liquid investments with lower fees. The one substantial risk associated with investing in annuities is the risk that the life insurance company that sells and manages one’s annuity goes bankrupt and is unable to live up to the obligations of the annuity contract. Life insurance company bankruptcies are rare, so the risk is minimal. Even so, life insurance companies that sell annuities are required to provide annuity insurance coverage of at least $100,000 to cover losses in the event of bankruptcy. This means that it is important to ensure that annuity investments do not exceed a life insurance company’s insurance threshold. Annuity investments greater than $100,000 should be spread among several life insurance companies to mitigate risk of losses associated with bankruptcy. Let’s face it, within the last year we all having been spending a little more. Government studies recently released have confirmed that most American’s have spent more in the last few months. Being the average American, we tend to be looking for ways to forget about the mounting economic issues by spending our money to reward our demanding work schedules. So if you find yourself in this category, continue reading to learn and implement these 5 easy steps to pay down debt. Coming up with a battle plan on how you are going to pay off your debt is one of the best ways to attack your debt head on. Creating a strategy has a two-fold effect on your monthly and yearly finances. On one hand, it allows you to better gain a grip on your monthly and yearly spending while understand how to best allocate your funds into savings and paying down debt. On the other hand, you are less likely to accrue more debt or overextend your finances. Knowing how much debt you have entirely will help you gain a foothold in your financial goals and be able to make a more educated plan of attack. Interest rates are the source of evil when it comes to calculating your total debt. The Higher the interest rate the more you have to. So when looking at what debt you should focus on, it is generally accepted that those bills with the higher interest rates, should be the main focus. Minimum payments should be made on all your other debt, with extra cash put down every month on your high interest debt. By paying off or paying down your high interest debt first, you will lower the interest stacked against you. This will raise your credit score! Your credit score is calculated by the amount of debt to the credit ratio available to you. So in application if you have $5,000 dollars worth of debt but have $20,000 dollars worth of credit available to you, you are likely to have a higher credit score (pending you aren’t perpetually late). Paying down your debt has to be a serious task undertaken. Like the achievement on any goal, you will start to feel good watching your debt shrink over time. It is important to remember that while your debt may be shrinking, this is not the time to start spending again. 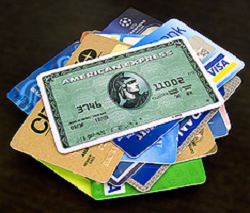 Even if your credit cards offer you some pretty nice perks or rewards. I’ll be the first to admit how tempting it can be to use the credit cards to pay for dinner for myself and friends, but ignore the temptation. Your financial security is more important than an extravagant dinner or weekend. Of course, once you have your debt within your control, then whatever you like to do is perfectly fine. However it is important to understand that getting your finances in order should be first priority. Depending on what you do for a living will really depend on if this step is applicable. But if you earned a holiday bonus or even a New Years Bonus, this can help alleviate your debt. Most us tend to use this extra padding of income to fund a vacation, long weekend trips, or even some more luxurious purchases. With tax season upon us, many of us are looking forward to some type of refund. This can also be linked in with bonus money that can be spent on shrinking your debt. It may be easier to rationalize taking a long weekend to treat yourself after working so hard to pay down debt, but your financial health is just as important as your physical or mental health. Paying more than the minimum payment is the fastest way to pay down your debt until that fateful day when you pay off your debt. Commitment is key, so do not limit yourself to paying extra solely every month. If you can put an additional $20 dollars per week into your debt, then every month you are eliminating $80 dollars extra a month. In some states, it is possible to pay an additional amount of money strictly against the principle after the minimum balance is met. Paying more than the minimum payment is easy and quite possibly the best way to pay down your debt. Paying down your debt may not be easy by first application, but that doesn’t mean that paying down your debt is impossible either. These five steps should help you gain control over your debt, and help to secure your financial well being, both in the present and in the future towards your retirement goals.